A new year means that you have a new year to make changes. These could be changes to yourself, or more importantly, changes to your business. Getting something new for your office can be a great way to reinvigorate your workspace and get yourself moving forward in the new year. Getting a great Xerox copier for 2018 could be exactly what you need. At Denver Copier we believe in working with the best brands to allow us to supply you with the best office copier solutions possible. 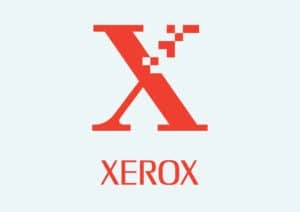 Xerox is the brand that you want to work with then you are trying to get your business running like it should. They have decades of experience changing the way that we work in the modern office. We have a number of great Xerox solutions that are ready for your business right away. We have a long relationship with Xerox brand office machines at Denver Copier. This allows us to know exactly what machine works for the kind of job you have in mind. Xerox is an innovator of them modern office. In the past few years they have been working to revolutionize the modern office copier to allow it to be more compatible with modern technology. Great security, more mobile technology, and so much more are available on the best Xerox machines. With all this in mind we can only imagine what Xerox might have available for us in 2018. Give us a call at Denver Copier to learn more about getting a great Xerox copier for 2018 in your office. We can work together to get you a solution that you will love.